Clan History: During the era of the Sage of the Six Paths, when the Uchiha and Senju were being established, there was a young boy living in the outskirts of a kingdom in the Land of Fire. He was poor with no way of making money, at least not legally. The boy's name was Wan, and he spent many of his younger days stealing from guards and finding anyway to loot some food for himself and his two friends, as none of them had any family. Wan was an agile boy, but eventually karma caught up to him and the guards finally caught him. Now, the guards had a daily routine of going out into the wilderness to catch some game for the kingdom and would sometimes bring their prisoners with them. Of course they bring Wan with them after finally catching him, planning to show off his uselessness in the real world. However, Wan being the cunning boy that he is, easily tricked the guards and scurried away further into the woods, avoiding their grasps until the moon came out, forcing the guards to hurry back to the kingdom. Now out on his own in the woods with no hope of returning to his "home", which was more like a tree-house if anything, Wan had no choice but to find some way to survive out in the wilderness. One good thing about this whole situation was that Wan had the ability to perform fire jutsu. Although not having any real skill in the wild, Wan, after many attempts in catching prey, finally figured out how to use his katon effectively; but this did not do him any good in finding any water, which is obviously much more important than food. After a few days without water, Wan was becoming delirious, roaming around the woods with no sense of direction or idea of where to go. Eventually, Wan stumbled upon a pond and immediately ran into the water, however a cat-like spirit jumped in his way, forbidding him from entering the oasis. Wan, becoming enraged after days without much food and no water, used his katon against the spirit. The spirit easily dodged the attack and flung him away from the oasis. Without any experience using jutsu and no training in anything else, Wan had no choice but to walk away, falling further into despair. Other spirits took pity on Wan, advising him to try looking for other kingdoms to find homage in. The spirits didn't have any clues on what directions the other kingdoms resided in, so Wan walked away on a random path, hoping to come across any signs of civilization. During his journey, Wan stumbled across a deer stuck in a trap. Tempted by starvation, he walked closer, but once he really looked at the deer, Wan took pity on it and went to free it. Before he could cut the deer down, the guards that had captured him came into the clearing and immediately sprang at him with their jutsu. Wan, now experienced with the wild, used this to his advantage to get rid of the guards, making them run into poisonous plants, spots of quick-sand, and random holes Wan himself had accidentally fell into. Despite all this the guards were persistent and continued to chase him down, bent on dragging him back into their kingdom. Wan began to feel desperate, and right when one of the guards was one inch away from melting the ground around his feet, the spirit from the oasis appeared and got rid of the guards, in almost the same way it got rid of Wan from the waters. The spirit had seen Wan's selfless act on the deer and decided that he deserved a break, bringing him back to the oasis to heal and feed him. Wan believed he belonged out in the wilds, with the spirits, and made a home there. The spirit helped Wan train with his katon, improving his stance, chakra balance, and even teaching him a few tricks to combine his jutsu with his taijutsu. After a couple years of living at the oasis, Wan decided it was time for him to journey the rest of the world, along with his deer friend. During his journey, Wan witness hundreds of animals and spirits running away from a huge commotion further in the mountains. Sprinting to the scene, the man watched as two huge, flying spirits battling it out, their tendrils tangled around each other, throwing each other against mountains and earth. Before he could intervene, the blue spirit, whom he eventually learned was Raava, told him to leave them be; the dark spirit, Vaatu, on the other hand, begged for his help, saying how the blue spirit had been torturing him for thousands of years. Feeling pity for Vaatu, Wan used his katon the force Raava to let go of the darker spirit, and Vaatu quickly flew off. Raava, enraged, yelled at Wan for his stupidity and revealed the truth; Vaatu was an evil spirit with the power to destroy all the kingdoms, and only Raava, his counterpart, could prevent that. Realizing his mistake, Wan agreed to help the blue spirit find and capture Vaatu. Continuing his journey to locate the other kingdoms, Wan came across a kingdom populated mostly be wind element guards. While conversing with the people there, Vaatu appeared and turned all the spirits surrounding the kingdom into vicious ones, attacking all the civilians. Wan fought them off as best he could, but thankfully Raava showed up, her presence restoring the peace within the spirits. Wan, however, noticed that Raava was growing weaker, and convinced her to let him help take down Vaatu. Upon leaving the kingdom, Wan was also able to convince a ninja with the wind element to train him, giving him the ability to control air. Over the course of a year, Wan and Raava traveled the land, Wan slowly learning to master all four elements in order to defeat Vaatu. Eventually Wan returned back to his original kingdom, in the Land of Fire. While nearing the entrance, the two witness a dispute between the citizens and spirits, and Wan tried to end the dispute peacefully. But once again Vaatu appeared and enraged the spirits, prompting a vicious battle between the two beings. Wan, still having trouble mastering all the elements, joined spirits with Raava, as Wan could not fully control the four elements without the help of Raava. However, not having any experience being fully merged with Raava overwhelmed Wan, causing him to pass out. Later, Wan awoke to a deserted kingdom, the spirits gone and all the villagers dead. He found Raava, now barely the size of his palm, and placed her inside his left teapot, and walked away from the kingdom towards the spirit portals. Upon reaching the southern spirit portal, leading entrance into the spirit world, Wan and Raava entered and emerged into an open area, with dark skies and clouds, random pools of water scattered about, and a lone tree in the middle with an opening in it. On the other side of the plane was the northern spirit portal where Vaatu emerged, prompting their final battle. Using his katon against the flying spirit, Wan send blast after blast of fire into the air, but Vaatu easily dodged every one, sending his own energy blasts down towards Wan, using his tendrils to try and snag the man. After a few minutes of wasted attacks, Wan believed their only chance against Vaatu was for Raava to fuse with him again. Once bonded, Wan was able to use all the elements against Vaatu but could still not land a hit. Vaatu knocked Wan away and near the southern spirit portal; Wan raised his hand up and touched the portal, sealing his bond with Raava and unlocking the Avatar State for the first time in history. The Avatar State gave Wan newfound strength, and he was finally able to trap Vaatu with all the elements, imprisoning him in the lone tree. 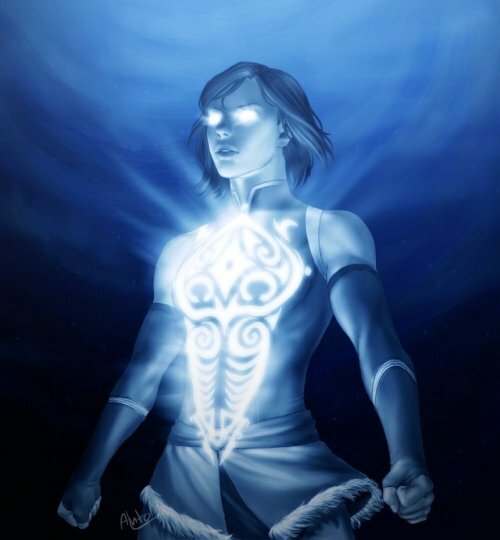 Closing off the northern spirit portal, walking back into the physical world through the southern spirit portal and closing that off as well, Wan and Raava created the first Avatar that would from then on become the bridge between the physical and spirit worlds. When Wan eventually passed away from old age, Raava, being Wan's new spirit after becoming permanently bonded, left his body and used her energy, and what was left of Vaatu's, to create multiple bodies of herself, scattering them across the world to find new ninja to become avatars. This event led to the creation of the Avatar clan, the main clan during that era to be connected to both worlds. Kekkei Genkai Description: Only during a critical moment in a member's life can one activate the bloodline; such as a near-death or traumatizing experience. When this happens, that person will be overcome with the limit; the first time being awoken to this will cause the person to lose complete control over themselves unless they have incredible spiritual power, which requires immense amounts of meditation. At this time there will only be two physical changes: one, the person's eyes will become a shining blue-white or red color, depending on the individuals karma, completely taking over the entire eyeball, and two, the clan's symbol will appear on the person's front, also either in blue-white or red, even showing through the clothing. If a ninja exceeds the recommended duration time, they will be unable to use chakra for 3 posts. If they go over the max time it will be 5 posts. Kekkei Genkai Jutsu: Kon-Shakuhou (Soul Release). Only available in the Avatar State, this jutsu can only be performed through physical contact, like putting their hand on another's head. Once the user has placed their hands on the target's head and chest, the Avatar will be connected to that person's chakra network. 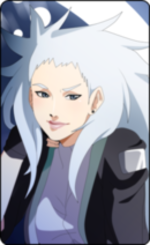 The user will then cut off the system, preventing the other person from using their chakra for some time (2 posts). 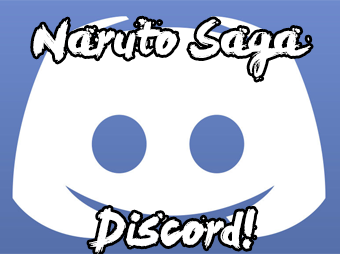 However, if the jutsu is interrupted for whatever reason, the user will be pushed out of the Avatar State and be unable to go back in for a while (5 posts). Being forced out of the Avatar State will force the user to use an extra 10 points of chakra to go back in. I understand what you're trying to do, trying to translate a concept from another series into the site. But, because we have our own rules and systems, it can't be accepted exactly as you see it on Avatar. Things like magnet or lava or even ice have their own clans dedicated specifically to these things. I can't let you have a clan that could potentially access an advanced element. Furthermore, on Saga, there're rules that dictate how many elements you can learn, when you can learn them and to what extent. In other words, you start with two at Genin (those can be ranked up to SS), next at Special Jounin (which can be ranked up to S) and the last one at Jounin (which only gets up to B rank). So here's my idea: You can start with all four at D rank and be able to rank them up to S as your Kekkei Genkai. In exchange, you're gonna need drawbacks, though. The Avatar State can be made into a scaling jutsu, but I'll get to that later. The drawbacks you have now only affect someone's personality and they really have no effect on combat. Drawbacks are usually stuff like only being able to have two specialties, penalties to stats, negative special characteristics that can't be balanced, etc. So add in stuff like that and you'd be good. Now, the big one: the Avatar State. I get the increase in strength and speed and all that, but you don't specify how much it is, exactly, that it improves. Does a Genin suddenly acquire the stats of a Jounin? (which would be a big no) Or does the genin only get, say, a +1 to speed and strength for a limited amount of time? (which is more doable). This is why I need you to turn this into a scaling jutsu that goes from C to S or SS with a very specific and detailed description of what it does at each rank. PM me when you've got this and I'll take another look at the clan.